Made in USA: What's real. What's not. Made in USA: What’s real. What’s not. 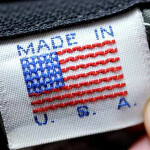 Made in America – Most Americans love the idea of buying a Made in USA product instead of an import. But sometimes it’s hard to tell what’s real and what’s not. Some iconic American products, from the Apple iPhone to Cuisinart food processors, have little or no manufacturing presence on these shores, while many foreign makers have invested heavily in manufacturing plants in the U.S. The auto industry has long grappled with what it means to be made in America. (Read “What Makes a Car ‘American’?”) But now, because of a wave of “reshoring,” many appliance manufacturers and other companies are moving significant operations back to the USA. Since 2010, about 300 companies have returned here, according to the Reshoring Initiative, an industry-supported not-for-profit that focuses on bringing manufacturing jobs back. Two reasons cited for a resurgence of American manufacturing in recent years are newly cheap energy and the narrowing gap in labor costs between the U.S. and other countries. But it’s not just about costs. A third factor is increased investment in research and development. Some analysts say that the frontier in innovation lies in “brainfacturing.” It’s a term that describes a new wave of manufacturing focused on research in digital technologies, automation, and new materials. In certain industries, such as software, American companies are so dominant that other countries are enacting legislation to encourage the development of their own products in order to lessen their reliance on U.S. technology. No matter how you define a “Made in USA” label, though, it has selling power, and many marketing departments are rushing to capitalize on it. But consumers often don’t know whether they can trust the claim. The Federal Trade Commission has issued standards for products that bear a “Made in USA” label, but those guidelines aren’t widely understood. And the claim gets even more confusing when compared with products that say “assembled” or “designed” in America. Adding to the cacophony, there is plenty of outright deception by companies that slap Americana on their products, in hopes they’ll be able to cash in on public sentiment before getting found out as a fraud. In an effort to capture the wide range of voices on this nuanced topic, we asked 13 leaders to weigh in. We also provide a guide to some of the highest-rated products—ones that live up to the “Made in USA” promise. Who gets to use the ‘Made in USA’ tag? Renewed pride in American manufacturing has made it more fashionable—and profitable—for companies to wax patriotic in their advertising, even when the claims are far from bona fide. “We see many goods which say ‘Made in USA,’ but they’re actually made in China,” says Hal Sirkin, a senior partner at The Boston Consulting Group, global-management consultants. The federal government’s “Made in USA” standards empower the Federal Trade Commission to take action against companies that make false or misleading claims. All or almost all of a product bearing the label must be of U.S. origin, i.e., it should contain no foreign content (or a negligible amount) and its final assembly or processing must take place within the 50 states, the District of Columbia, or U.S. territories and possessions. But the standards also allow manufacturers to make “qualified” claims for products that aren’t entirely of domestic origin. One example: a GE refrigerator with 87 percent U.S. content. It doesn’t help that the FTC standards allow companies to design their own labels, unlike the federal Energy Star program, for example, with its distinctive blue label that’s a recognized mark of energy efficiency. ‘Made in the USA’ labels, by comparison, take many forms, as the examples below show. 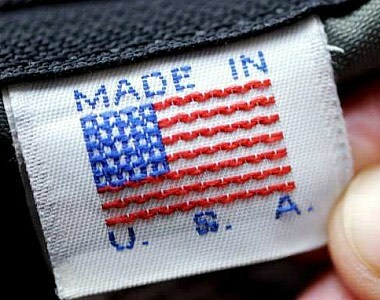 Paradoxically, plenty of products that really are manufactured domestically don’t carry a ‘Made in USA’ label. For example, many Kenmore appliances are produced in the U.S., but you won’t see any patriotic labeling on them because Kenmore also has contracts with foreign manufacturers. We’ve mined our current Ratings in a dozen product categories for recommended models that were Made in USA out of mostly U.S.-supplied parts, even if their manufacturers don’t advertise the fact. See our list. If you come across a claim that seems bogus, file a complaint at ftc.gov or call 877-FTC-HELP. An investigation will probably take a while, and the FTC won’t respond to you directly, so playing the vigilante role won’t help with your immediate purchase. But you’ll be doing your part to uphold the integrity of the “Made in USA” claim. Just how American are these iconic brands? 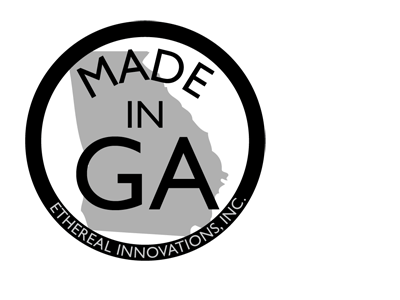 https://www.themadeinamericamovement.com/wp-content/uploads/2015/10/MADE-IN-USA-Label.jpg 300 380 The Made in America Movement Team https://www.themadeinamericamovement.com/wp-content/uploads/2017/08/Made-in-America-Movement-Logo_340x156.png The Made in America Movement Team2015-06-24 09:12:252018-05-22 14:09:06Made in USA: What's real. What's not. I wouldn’t mind paying more for products made in America because i will b getting quality and supporting our economy at the same time. Think about it people who are buying products made in China, are not only helping the Chines build their military and their country. 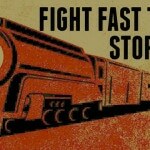 I do hope the companies who put profit first will have a place to hide other than the USA.